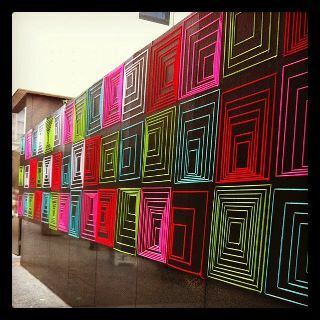 A new mural is going up at the Standard today replacing last month’s which was made out of yarn. Yes, I said YARN. I must say I was amazed at how long it lasted (thanks to no rain in December). The mural got me thinking about an interesting street art phenomenon called “Yarn Bombing” which is a form of knit graffiti where street objects including stop signs, parking meters, random poles, subway cars, etc. are knitted and crocheted in colorful acrylic yarn. Turns out it’s a global movement that has been building momentum over the last 5 years. The Standard mural was conceived by Magda Sayeg. She started out doing guerilla yarn bombs in Houston Texas after she got a favorable response after covering the door knob of her boutique. The random bombings expanded beyond her street into other areas of the city and from there it took off. This is a fascinating collision between the subversive, clandestine world of traditional street art and Etsy enthusiasts seeking a broader audience beyond their Pinterest followers. It turns out the phenomenon has become quite lucrative for Magda Sayed, she’s given up the noncommissioned work and now grosses between$25,000-$75,000 per project. 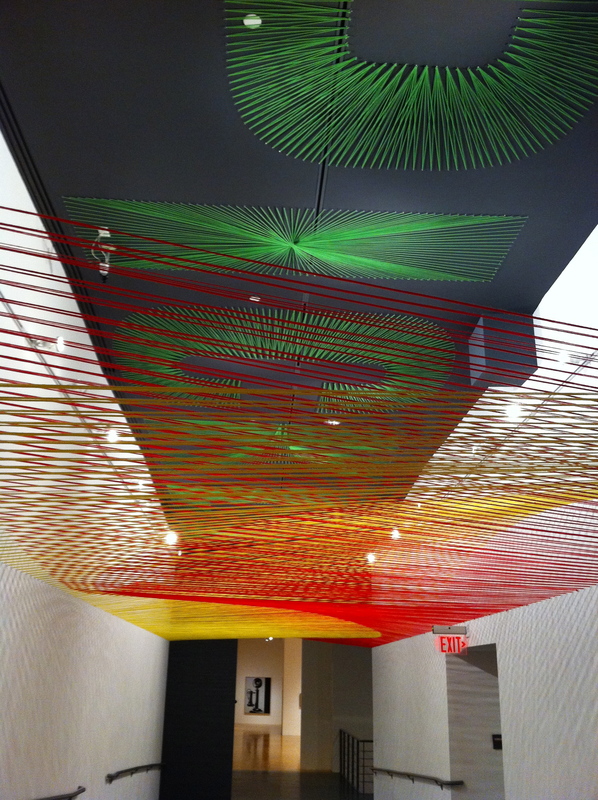 She’s also collaborated with the Sunglass Hut on a line of yarn adorned shades. 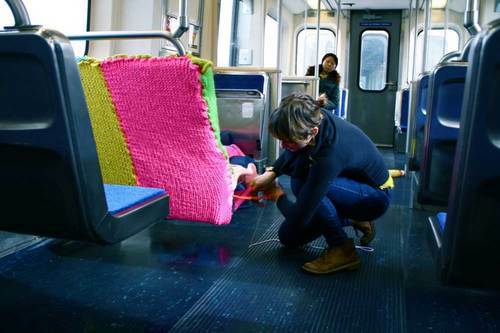 What’s next, yarn bombs in museums? Already been done. I haven’t decided if this is a clever form of expression or a questionable waste of materials. I loved the Standard Mural, and when I see this stuff I can’t help but smile. I’ll say this: The world needs to see a Portlandia skit on this! Reminds me of childhood crafts projects where we made pot holders out of yarn. Shows you my era. Loved the Portlandia comment, actually I like the satire in that show! oohhhh, how did I miss the yarn bomb at the standard!!?? I have noticed the yarn bombs before but didn’t realize it was a movement. So cool. Minty I know! The Standard switches up the murals every 3 months or so. I remember the day they put the yarn one up. One of my favorites!